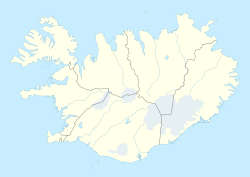 Drangsnes is a smaw toun in the wastren pairt o Iceland, at the mooth o Steingrímsfjörður an near Hólmavík. It is pairt o the Kaldrananeshreppur municipality an anerly haes 67 inhabitants (2011 census). It got its name frae a tall rock namit Kerling o wha is said that it is ane o three troll weemen who tree'd tae separate the Wast Fjords frae the rest o Iceland.